Skip the skinless chicken breasts tonight and enjoy one of these delicious dinners, including tacos, stews, lasagna, lean burgers and more. As a great source of protein and essential vitamins and nutrients, including iron, B vitamins, and zinc, beef really can be a healthy meal choice — despite some food myths you may have heard. 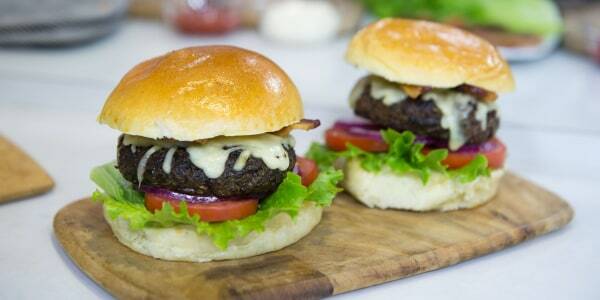 One key to fitting beef into a healthy diet is choosing the right cuts of meat. That means looking for lean and extra-lean picks, which deliver the nutritional benefits without excess saturated fat and calories. 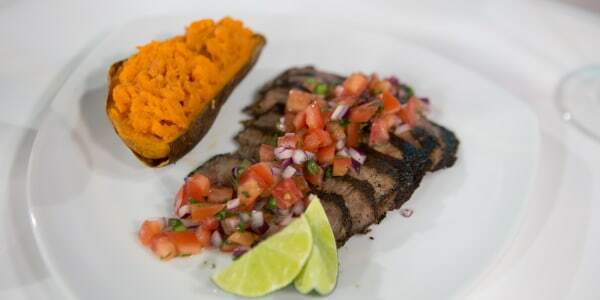 For example, "A 4-ounce serving of lean flank steak contains about 30 grams of complete protein, 9 grams of fat, 4 grams of saturated fat and 220 calories, while the same serving of fat-marbled porterhouse steak has similar protein, but three times more fat and saturated fat, and 340 calories," NBC News Health and Nutrition Editor Madelyn Fernstrom told TODAY Food. A sloppy joe without guilt or meat? Joy Bauer shows how! The USDA definition of "lean" applies to a 3.5-ounce (100 gram) serving of beef with less than 10 grams of fat, 4.5 grams, or less, of saturated fat, and less than 95 milligrams of cholesterol. A 3.5-ounce serving of "extra lean" beef must contain less than 5 grams of fat, less than 2 grams of saturated fat and less than 95 milligrams of cholesterol. When you're at the meat counter, look for cuts with the word "loin" or "round" in the name, such as sirloin, tenderloin, eye of round and top round. Chuck shoulder and arm roasts are also lean cuts. When choosing ground beef, look for a 90/10 or 95/5 lean to fat ratio. Also, keep your serving portions in check, even with lean beef: The American Heart Association recommends limiting lean meat, skinless chicken and fish to less than six ounces per day. 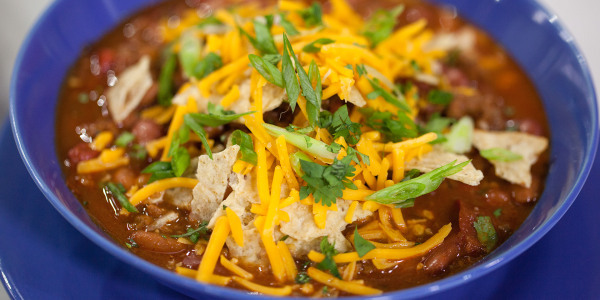 You can keep serving sizes in check by filling most of your plate with vegetables, by using beef as a garnish or by using it in combination with other proteins (beef and bean chili, for example). 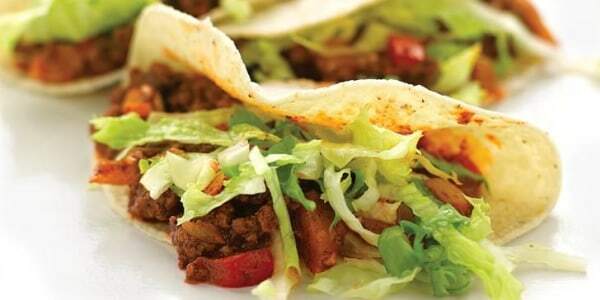 Here are some delicious ways to enjoy beef in a lighter, leaner way! 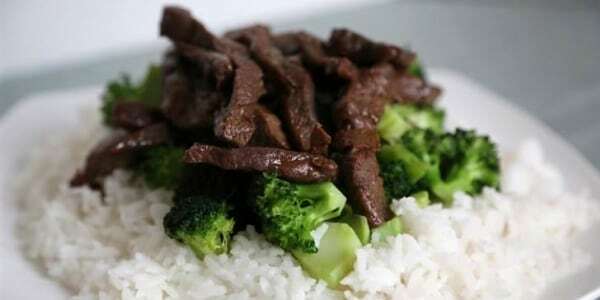 This savory stir-fry is made with lean top sirloin and broccoli — the original superfood. Make it even healthier by using reduced sodium soy sauce and serving the dish over brown rice instead of white rice, or even cauliflower rice. For this classic chili, green lifestyle guru Danny Seo uses grass-fed beef — a healthy choice Fernstrom says is worth paying more for because it usually has a better flavor and nutrient profile than traditional beef. And though grass-fed beef tends to be lower in saturated fat than traditional beef, it still makes sense to choose leaner cuts. "Coffee and steak might seem like an unlikely partnership, but the flavor of beef is actually heightened by the robust notes of java," says David Zinczenko, author of "The Super Metabolism Diet." 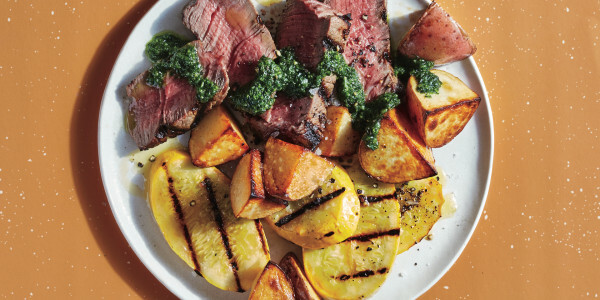 This recipe calls for flank or skirt steak, but flank steak tends to be leaner — check the label or ask your butcher to be sure you get a lean cut. Sometimes nothing but a ground beef taco will scratch that taco itch, and these lighter beef tacos give you what you're craving without overloading you with grease. Slow-cooker beef stew with kabocha squash gets an Italian spin with the addition of Marsala wine and chopped sun-dried tomatoes in this recipe from Giada De Laurentiis. 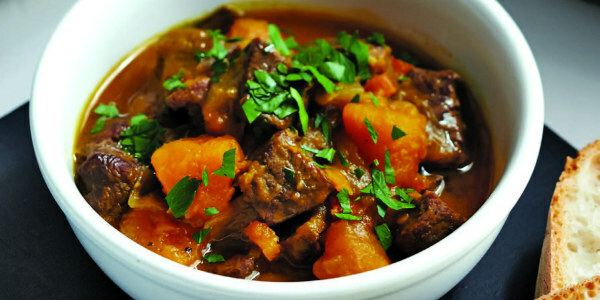 A lean stew cut like bottom round is the perfect choice for this dish, since the long cook time tenderizes the beef. In this blended burger, ground beef is combined with equal parts of chopped up mushrooms for a juicy patty that's lower in fat and calories, but higher in fiber and nutrients, than a traditional burger. 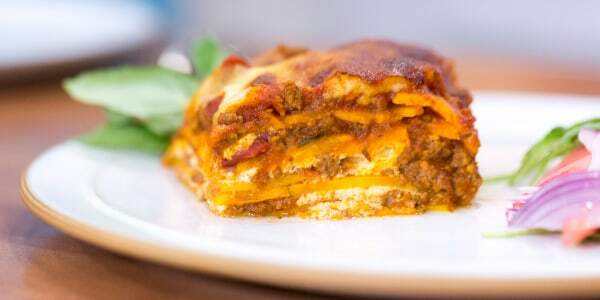 For this healthier yet still super satisfying take on lasagna, Fernstrom made a bunch of tweaks to a classic recipe, including cutting the amount of meat in half and using extra lean ground beef. This deliciously simple dish from Cooking Light requires only five fresh ingredients and takes 20 minutes to make — it's that easy and fast! 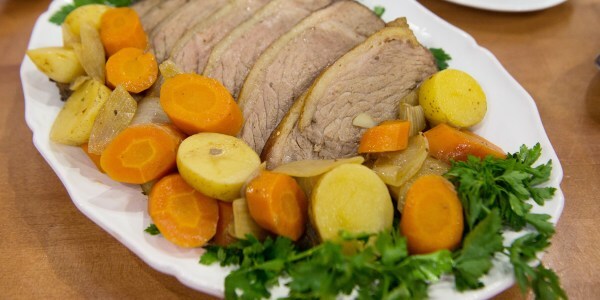 It's hard to believe something as comforting as pot roast can be healthy, but this recipe from Sami Kotb calls for lean bottom round roast. Trim away any visible fat and serve with lots veggies. 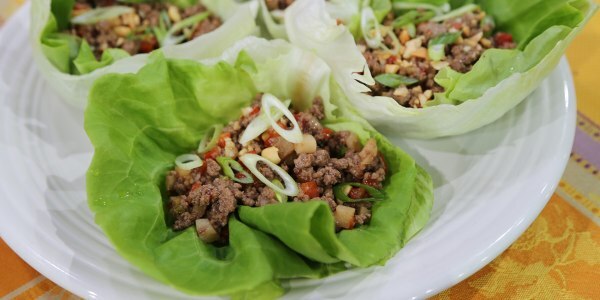 If you're trying to cut down on carbs, try this flavorful ground beef mixture served inside lettuce cups, instead of over rice. Just choose lean ground beef, of course! 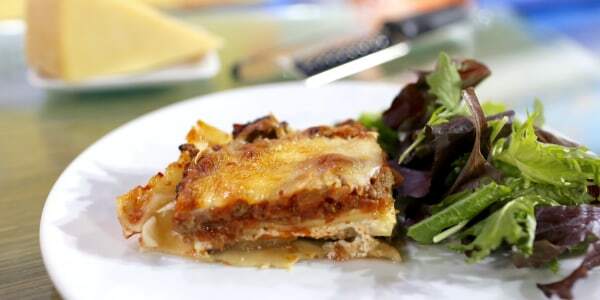 This delicious main course from Kevin Curry, founder of Fit Men Cook, is gluten-free and way lower in carbs than classic lasagna.